A man named Karl Martin was in for a surprise when it was revealed that the jar he had been using to store his toothbrushes is actually an ages-old relic from Afghanistan. According to the 49-year old dad, he came to own the jar after picking it up at a car boot sale for only $5. He then proceeded to use the old piece of pottery to keep his toothbrushes in for long five years. Being a passionate antique valuer, it definitely took Martin a long time to realize that what he had in his bathroom was an antique piece. It wasn’t until recently when he noticed a similar piece of pottery that he began to suspect that his toothbrush holder was worth something. This second piece was being sold in an antiques sale at the auctioneers where Martin works. 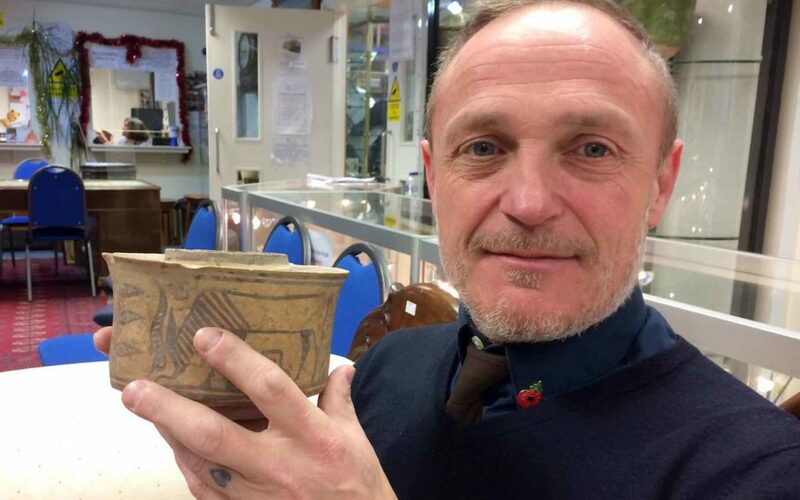 Upon consultation with a colleague at their place of work, Martin found out that the jar was actually a relic from Afghanistan dating back to 1900 BC. Martin says that he liked the piece on sight when he first saw it at a car boot sale in the village of Willington Derbyshire. It seemed quite old, but he didn’t put much thought to that afterwards. Relating the moment when he finally realized the real value of the jar, Martin says, “Then, one day at work, I was helping Hansons’ antiquities expert unload a van and noticed some pottery which was similar to my toothbrush pot, so I rescued the pot from my bathroom and asked him to examine it for me.” His colleague confirmed the jar’s antiquity. According to him, it had been around for 4,000 years, and had been made 2,000 years before the common era. Martin found the discovery amazing. He mentions that although he dabbles in antiques, his specialization is in British History. Having little knowledge about world history, he couldn’t have realized what he had all along. He muses that it’s a wonder how the relic ended up in a sale in Derbyshire. Further information on the old jar comes from James Brenchley, head of antiquities at Martin’s work place. 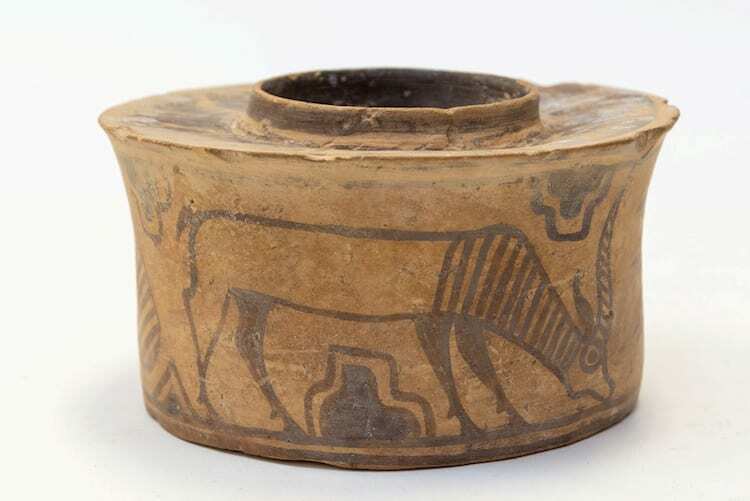 He says that the jar originates from a Bronze age civilization in the northwestern regions of South Asia. As for how it found its way across continents and into the UK, he thinks it was brought by wealthy travellers. Once Martin became aware of the jar’s value, he felt a little guilty for using it to keep toothbrushes. He had even made his own personal imprint on it – toothpaste stains.When he rescued the jar from the bathroom, he put it up for sale. It sold for $100, which was 20 times what he had bought it for. That does sound like a more deserving price tag for a 4,000 year old relic, compared to $5. Martin can overcome his guilt with the knowledge that he uncovered the real identity of the jar and it will now not have to suffer through another episode of toothbrush holding.